In the present world of science and technology it is difficult to imagine schools and colleges without computers and internet. It is a big reality that students take a lot of help from their smartphone nowadays. The use of smartphone has led to a huge change in the lifestyle and attitude towards studies. Smartphone is not only a medium of entertainment; it is also used for learning new ideas and information that a student cannot get only from reading books. Students not only get knowledge related to their course but also related to other spheres of life. Different educational websites provide required information to the students helping them in their exams, assignments, projects, etc. Smartphone also helps in creating interest in learning a subject by providing various resources like videos, images and audio files from reliable sources. Students also share their work with their friends or any professors for their assistance or to appreciation. Students use internet to apply to colleges or institutes easily by uploading their work and qualifications on the concerned websites. In many institutions the student’s performance results are displayed on the websites and they don’t have to stand in queue to look for the same. One of the important benefits of smartphone is that students also earn from internet through blogging by sharing their knowledge. It provides a great source for income for a student and also improves his/her own skills. Many students are there who completely rely on the smartphone for their work. This has led to plagiarism. Students have become lazy and think copy and paste as the shortcut to their work, but this is injustice to those who spent their time and knowledge to produce the original work. This is one of the most undesirable effects of internet. 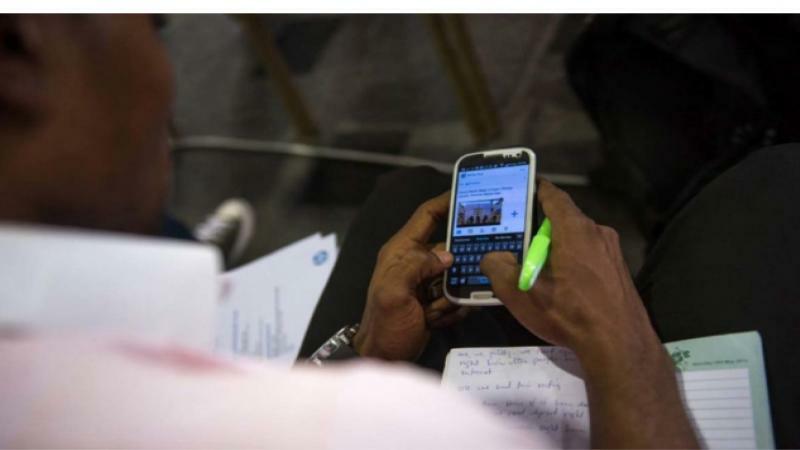 Use of smartphone by students in the schools and colleges has been a boon and a bane. They have helped students in providing quick data searches, linking with their friends and families and even with their teachers and at the same time, students have misused them for cheating during exam, texting inside the lecture and entertaining themselves at times when they should study. So, mobile phones which today are known to be as smartphones have made students smart in their studies and also extra smart to exploit them for their benefits. Thinking capacity is reduced. These days whatever work is given to the students, they search for it on the internet through their smartphone. They have lost the capacity to think on the topic and write in their own language. Lower self-confidence- when students plagiarize they are dependent on the internet completely. They think the materials provided online are better than what they can do. They loose confidence in their work and continue to depend on internet in future also. Addiction to smartphone also result in spending much time in chatting on the social websites, watching videos and other documents, playing online games, etc. that are complete waste of time. Once fallen a pray for this, it is very difficult to come back. Insomnia – due to the addiction of smartphone many students shorten their sleeping hours. They sit on their laptops or computers, chat, watch videos or play online games till late night. If this continues it leads to insomnia where a person is unable to sleep. This causes mood variations, irritation, lack of concentration, headache n many more diseases. Spelling and Grammar- in this generation students are generally using abbreviations and shortcuts to write and communicate. They are communicating thorough text-based symbols and intentionally misspelling words. As a result of this student find difficulty to write formal letters and applications. No face to face communication- This leads to stage fear. Students are not able to speak in public. Excessive use of these gadgets has exploited them in various different ways. 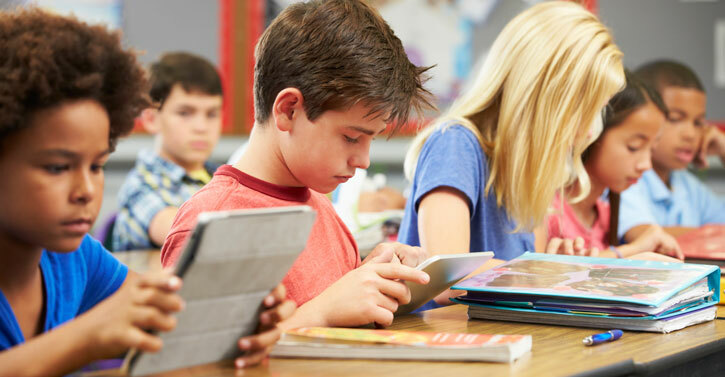 Students need to be focused in their classes and if they have Smartphone with them in their classes, they get distracted a lot as they do not concentrate on what teacher is saying but continue to use their phones and tabs to text messages, play games, watch videos etc. Getting phone calls during classes does not only disturb them but also the whole class and the teacher. Most of the students who carry Smartphone to their class play games, watch videos, and also do chatting with their friends, using social networking sites like updating status on Facebook, posting comments on Twitter. It would not be wrong to say that physically they are present in the class but mentally they are in the world of texting. At the time when they should study, they indulge in these useless activities. The activities of playing games and watching videos also distracts the other students sitting around them as the other students are attracted towards these activities. Students can use this growing technology to their benefit by indulging in unfair means. Smartphone in schools and colleges has become a source of malpractice in the exams and quizzes from where they copy answers. They browse web or send text to one another for solution to their tests. In classes instead of listening to the teacher and taking notes, they just record teacher’s voice and take photos of other’s notes. Students are addicted to their Smartphone as even at night they are found texting to their friends due to which they can’t complete their sleep which affects their performance in their class as well as their attendance in classes. This Smartphone texting has also made them much lame and lazy that they use that texting language (like short notations) while writing exams. False rumors in the schools and colleges spread like a fire through texting, messaging and calling. The mobile phone technology is being indiscriminately put to negative activities as they have ruined the lives of many by vulgar recordings being made, black mailing people and getting people involved into things which they do not choose to. They have invaded other’s privacy by taking pictures and making videos without their permission. Students also disturb teachers by giving blank calls to them and disturbing them unnecessarily. All these distractions from the studies by the smartphone result in the poor performance in their academics and they are not able to deliver as to achieve their goals and fulfill their expectations. So, the students should understand that they must use this gift of technology to their proper use so that they do not end up achieving nothing but negatives from this gift. There are many more negative effects of the smartphone on students like their privacies are disturbed, moral corruption, cyber bullying, wastage of time, inactivity, etc. It has been observed that there are both pros and cons of using the smartphone amongst the students. It is actually determined on how much and for what purpose a person uses it. The negative aspects of the smartphone can be covered by not depending on the smartphone and internet completely. Ideas and information can be taken from the internet but the projects and assignment should be done my oneself. Students should not be dependent on the internet; it should be referred when it is required for more information. Don’t get me wrong I am not saying students should not use their smartphone in school especially when we look back to its advantage like I said early in first paragraph, but honestly there is a need of cautions to implement, it need to be use wisely, not randomly whatever students need to.